Kelly Johnson, a Parker, CO, Virtual Assistant, was chosen to participate in a photo essay for USAToday.com, “Living the Laptop Lifestyle.” She was selected as she works with clients globally from an office overlooking a beautiful vista. The numbers on the central planning dream for housing are in and they’re bleak. No percent increase in homeownership from 20 years ago despite vast investment. What this means for investors. Beating the Tennis Demons by Dr. Michelle Cleere hits # 1 on the Amazon.com Sports Psychology Best Sellers List, as well as in the Tennis and Sports And Outdoors Categories. 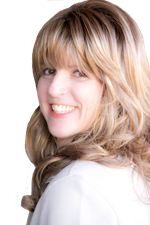 “Making Your Statement With Image Consulting” by Image Consultant, Milena Joy hits top three spots in three categories of Amazon.com Best Sellers List. The Small Business Success Project hosts its 17 Legal Ways to Double Your Income Spring Success Summit on April 28th at the Carolina Club, University of North Carolina, Chapel Hill. DJ Dave Productions, is a mobile DJ entertainment, lighting, and photo booth services company, specializing in Weddings. 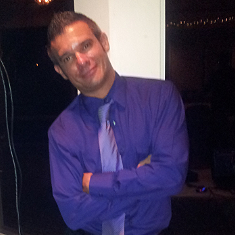 DJ Dave Productions is recognized as the top Wedding DJ Company in the greater Houston Area. They are unique and provide professional service to make each client’s special day fun, stress free, exciting, and creates unforgettable memories. They offer a customized wedding package that is unique that reflects each client’s individual personality and style. Access DJs Photo & Video, award winning wedding and corporate experts, offers its wisdom and experience to make your celebration unique, fun, memorable and stress-free by providing a one-stop service for all types of party entertainment to the entire Central Florida region. Michael Taylor, coach, radio personality, and author of the bestselling book Black Men Rock, is ready to launch his next venture: Black Men Rock Radio. The podcast will launch on May 1, 2015; it is a personal-development broadcast designed to empower black men to live extraordinary lives. The podcast will feature coaching sessions for relationships, health & fitness, financial issues, and motivational matters. The Authority Broker: A Different Approach to Attracting More Agents, Sales, and Recognition by Lisa Williams and Tamika Bridgewater recently reached #1 on an Amazon bestseller list. To celebrate that fact, the authors are hitting the road to discuss the important message found in the book. Williams and Bridgewater will visit real estate professionals and talk with agents and brokers about a unique way of setting themselves apart from their competitors.